EMILY Lifeguards rescued 77,192 people at U.S. beaches in 2009 Courtesy Hydronalix. You’re caught by the ocean’s riptide, exhausted and barely keeping your head above water. Then your unlikely hero appears: a four-foot-long talking buoy. It’s EMILY, the robot lifeguard. Grab on, and it can bring you safely back to shore. This summer, EMILY (for EMergency Integrated Lifesaving lanYard) began patrolling Malibu’s dangerous Zuma Beach and will watch over about 25 more by December. 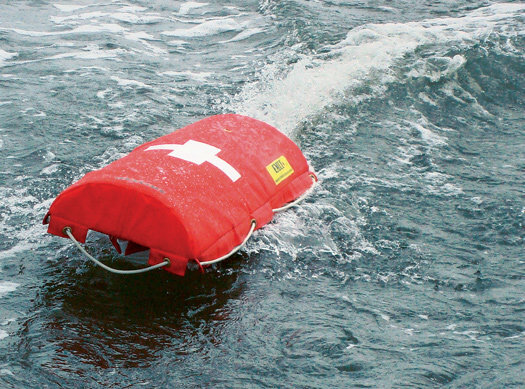 Although lifeguards operate this version by remote control, next year’s model will autonomously save potential drowning victims as reliably as a human. Once a lifeguard tosses EMILY into the surf, its sonar device will scan for the underwater movements associated with swimmers in distress. Its electric, Jet Ski–like impeller drives it at 28 mph through even the roughest chop, getting a flotation device—itself—to victims six times as fast as a lifeguard would. The ’bot’s camera and speakers will let an onshore lifeguard calm the person and instruct him to wait for human help or to hold on as EMILY ferries him back.